The YS1350 and YS1360 are manual setters designed to provide a manual output of setting and operating signals to controllers and operation terminals. These controllers include several standard features including an operation mode selector switch [cascade (C) and manual (M)], a status input-based operation mode selector function and an operation mode discrimination status output function. The compact design of these setters also save instrument panel space and complies with CE, FM and CSA standards. 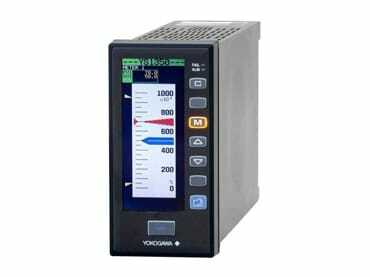 The YS1500 is an indicating controller that features fundamental control functions required for PID control. 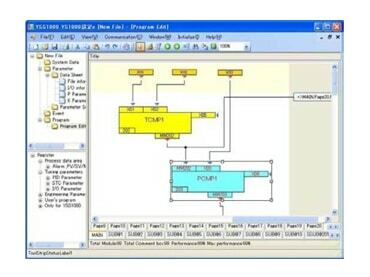 The available functions include those necessary for input signal processing such as square root extraction, linear segment conversion and feed-forward calculation. A single loop, cascade and selector mode is also available. The compact design of this controller also saves instrument panel space and complies with CE, FM and CSA standards. 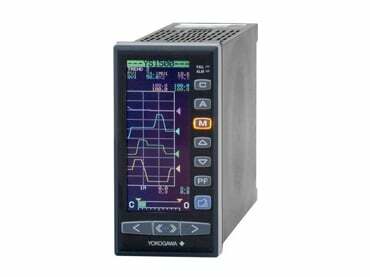 The YS1700 is a programmable indicating controller that can be tailored for various applications through the use of a user program. The compact and lightweight design of this controller also saves instrument panel space and complies with CE, FM and CSA standards. 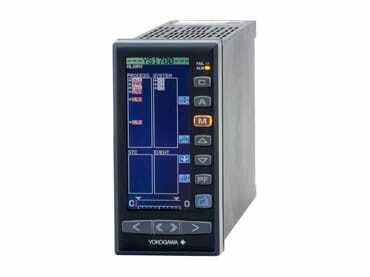 The YSS1000 is package software used to configure the functions of the YS1000 Series devices. Through the use of communication with these devices, it has the ability to read, write, tune and monitor user programs and parameters.